Baltic.fund ICO — let’s crowd accelerate CEE and CIS startups together! 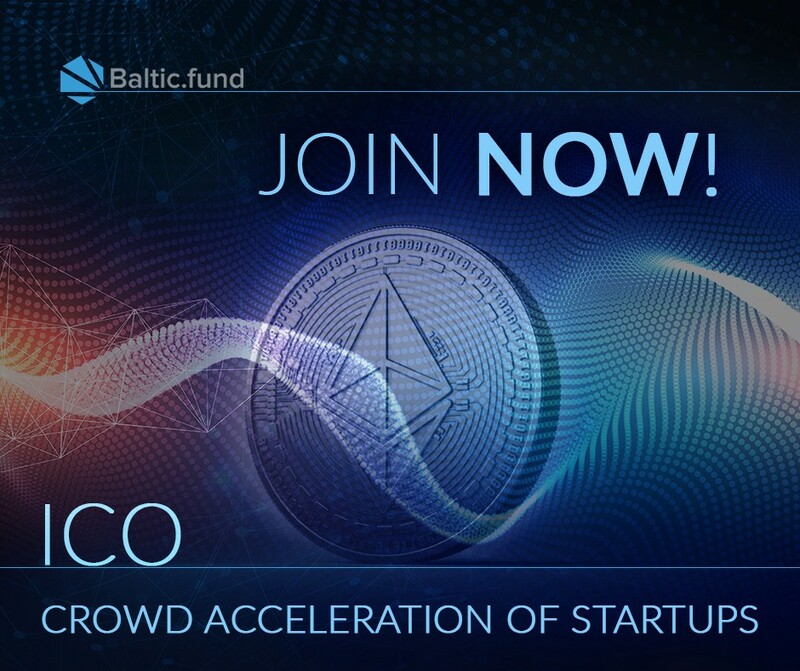 Baltic.fund ICO — let’s crowd accelerate CEE and CIS startups together! Hi, we are Baltic.fund team. Founded in 2015, Business Hive Vilnius (core part of Baltic Fund Ecosystem) is one of the oldest startup incubators and technology hubs in the Baltics, which hosts and incubates Lithuanian, CEE and CIS startups throughout the differing elemental stages of their evolution (mostly from pre-seed to A). We are focused on hardware, security, blockchain, AI, enterprise software, business/industry automation, and fintech, among others. The modern central headquarters where we have established a welcoming and highly effective startup ecosystem is the BHV home building — opened in 2015. The headquarters are comprised of over 2,000 sq.m. specifically designed for office space, conferences and seminars, networking, plus facilities for prototyping hardware devices and product design. BALT token is a utility token issued by Baltic Fund. The token price for pre-sale is 0,0002 ETH, for sale — 0,00025 ETH. Buy tokens with 15% bonus now! – Register and buy tokens with 15% bonus now! Your tokens will be delivered to your Ethereum wallet after the purchase*. The price of 1 BALT token is 0,0002 ETH, minimum purchase amount — 100 tokens. Everyone, who shares this post in social media channels get additional 2% bonus — contact sandra@baltic.fund to claim yours. *According to EU AML regulations we apply the KYC procedure to every customer before the purchase. Don’t worry, it’s quick and safe: upload the pictures of 2 required documents to confirm your identity and fill in the short application form. Don’t worry, we won’t share your data with everyone, we just have to be sure that you are eligible to purchase our tokens. – Join us on Facebook, Twitter, Telegram community, BitcoinTalk, or subscribe to our Medium blog. – Join our Bounty programs for translators, proofreaders, media influencers, and supporters. By participating in our Bounty campaign, you become part of the Baltic.fund community and help us create a robust and strong Platform and Ecosystem. Find out more at BitcoinTalk.